NBJS Santa and "Peppa" scarecrows go off on an adventure! 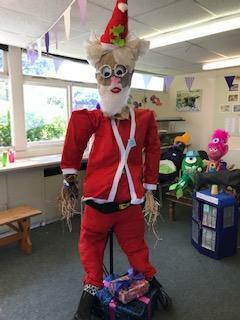 Our Santa scarecrow and Peppa from a couple of years ago have broken free and gone off to the Down to Earth farm in Southampton for the next week as part of their Hallowe'en celebrations. WIsh them good luck when they are judged tomorrow - they have both been made by our pupils who didn't go on the Year 6 residential. Update - Santa won his category! 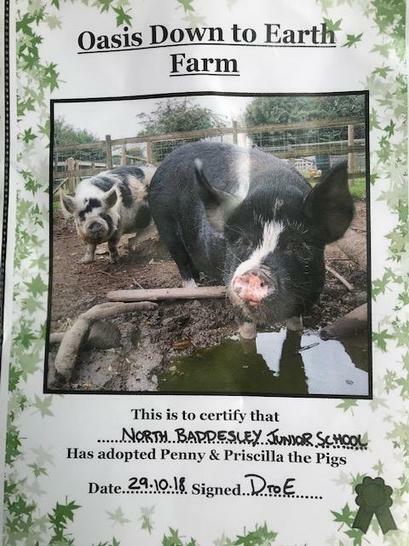 As result we have been awarded an adoption animal - Mrs Murphy chose Priscilla the pig!